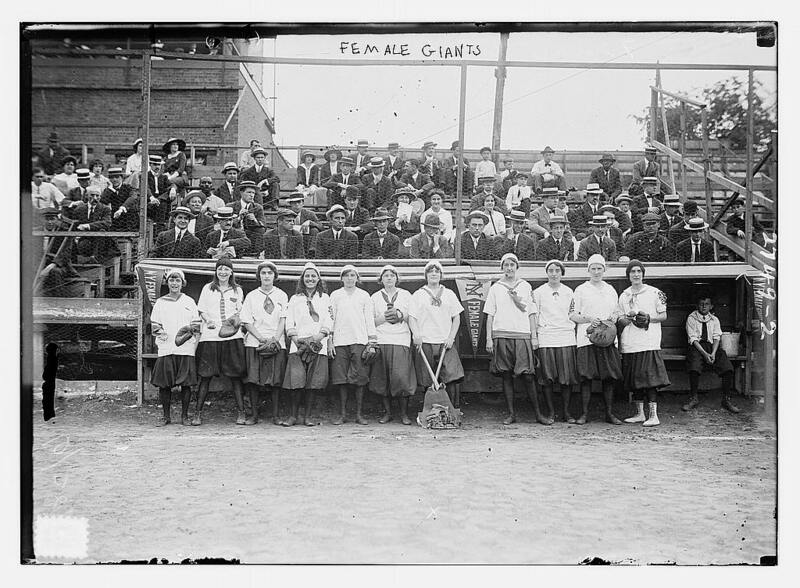 For a very brief period — likely just a single year — there was a female counterpart to the New York (Male) Giants. 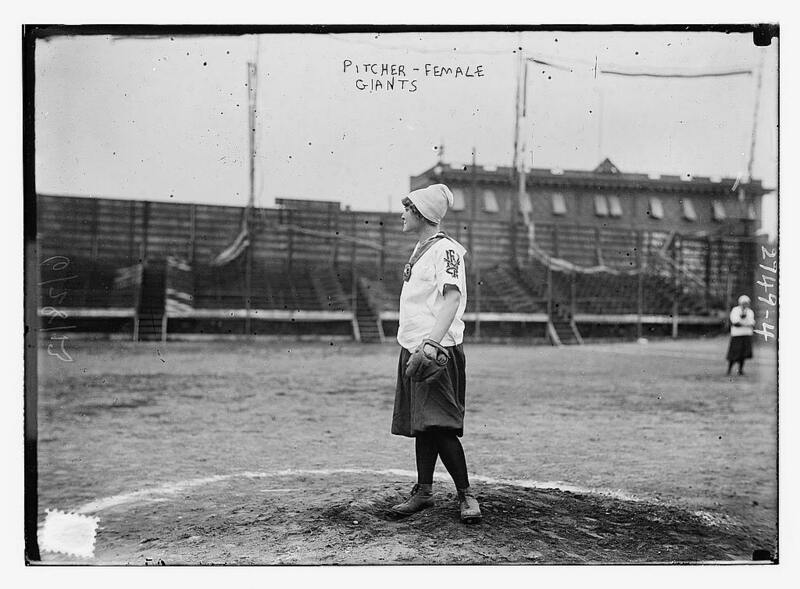 The New York Female Giants seem to have an unofficial affiliation with the better known Giants, the city’s most popular baseball team. 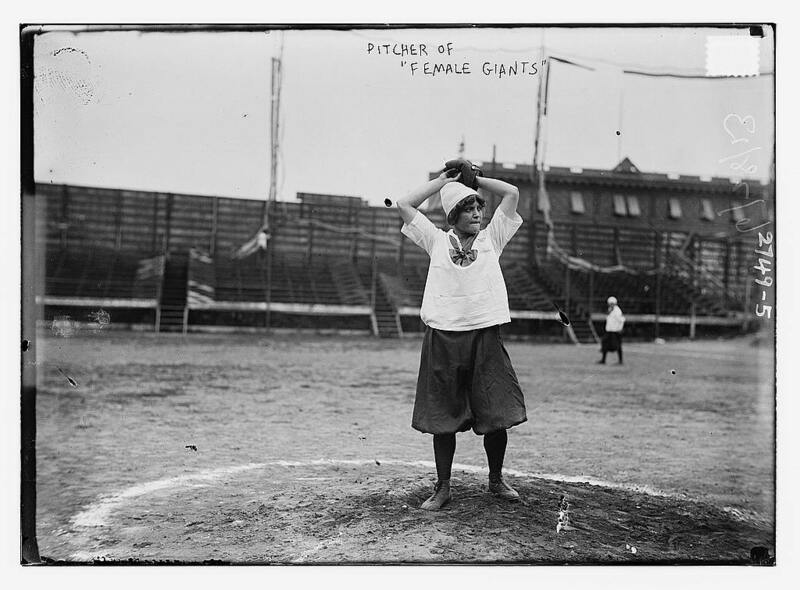 Author Michael Carlebach speculates the team was probably formed by Giants manager John McGraw. 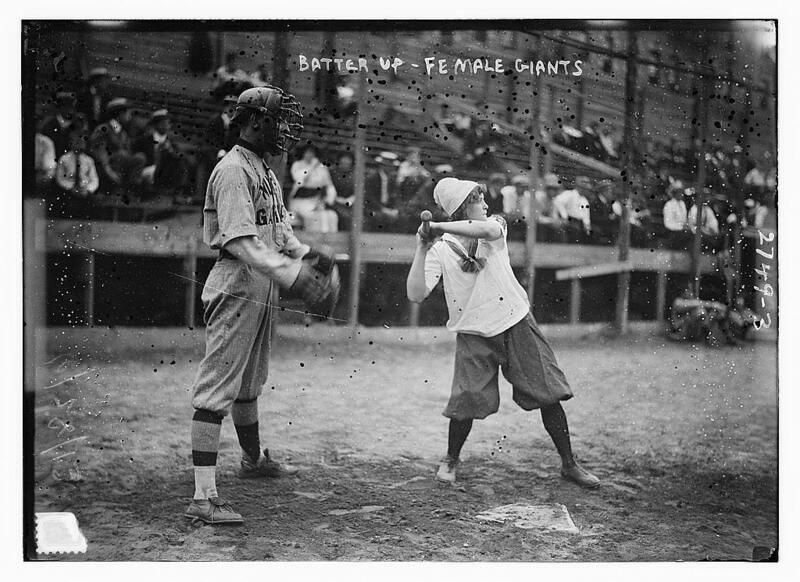 The Female Giants don’t appear to be all women players either although there are no disguises at least. The men featured in these pictures played with the New York Giants. 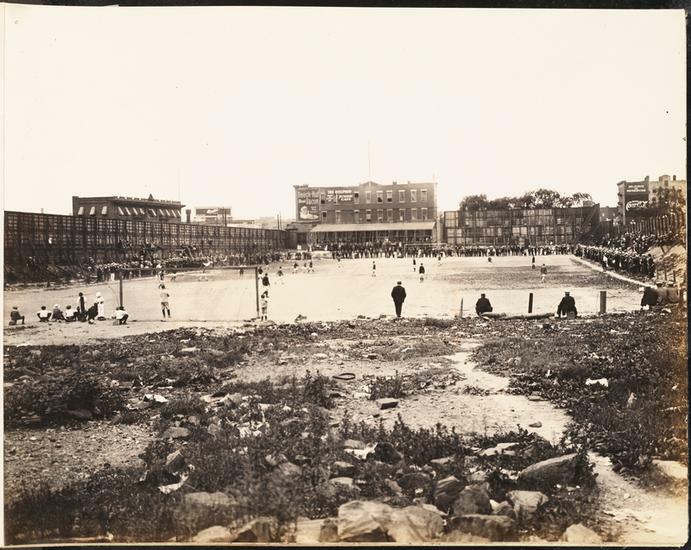 They broke up into two teams — the ‘Red Stockings’ and the ‘Blue Stockings’– and played a notable exhibition game for almost 1,500 people on Sunday, May 25, 1913 at the Lenox Oval, a sports field at Lenox Avenue and 145th Street. We know about this particular game because it got shut down by the cops. In the ninth inning, a detective stepped out onto the field and handed the third baseman — a 17 year old teenager named Helen Zenker — a subpoena to appear in Harlem court. The photos in this post obviously take place on another date as they’re wearing uniforms which they were not allowed to do on a Sunday. 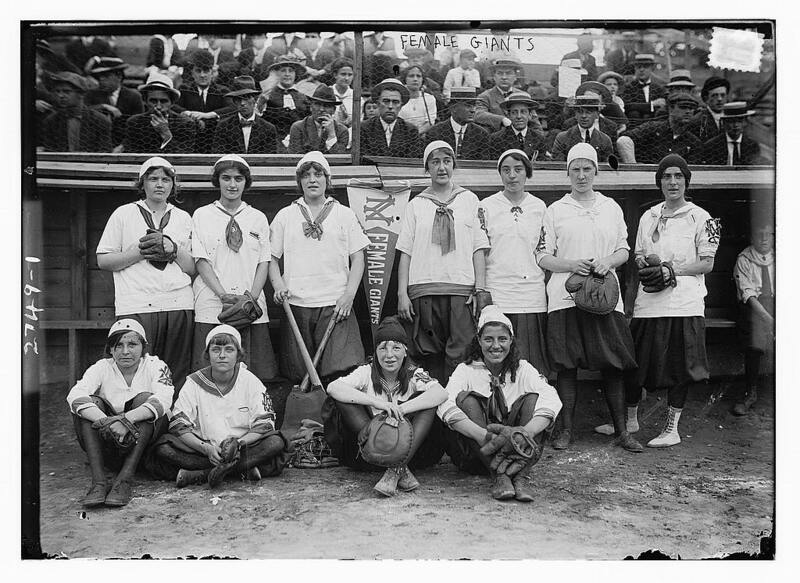 EDIT: After going live, I later included the line about the All-American Girls Professional Baseball League and also to clarify that the team also featured adult women playing along with high schoolers. 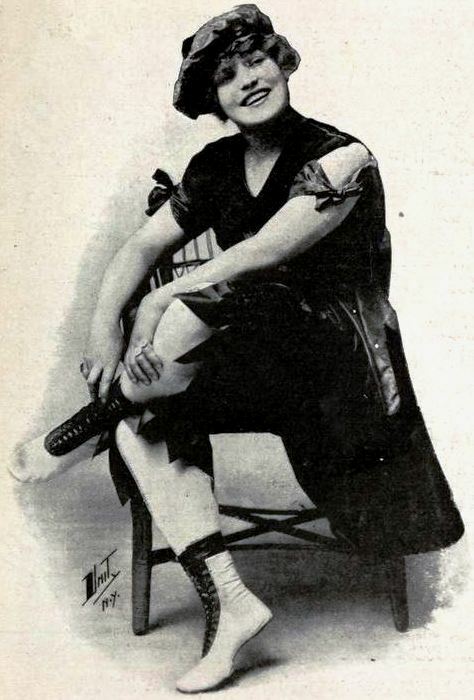 For instance, Ida Schnall, who went on to greater athletic fame, was 24 or 25 at the time of the game described above.